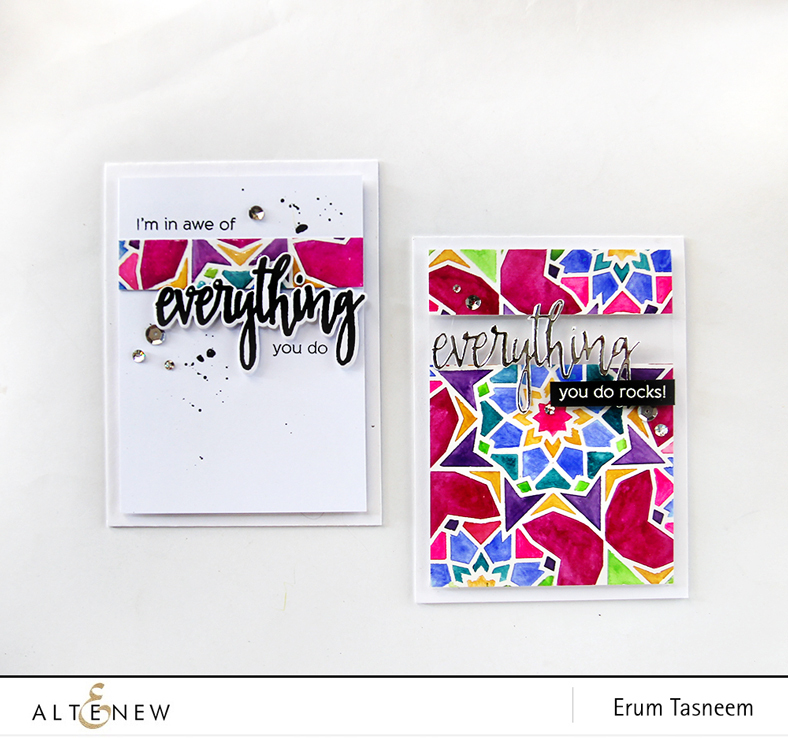 I have a bunch of cards to share over at the Altenew blog focusing on various colouring mediums and Altenew Crisp Embossing Powders. I will also be giving away one of my cards. 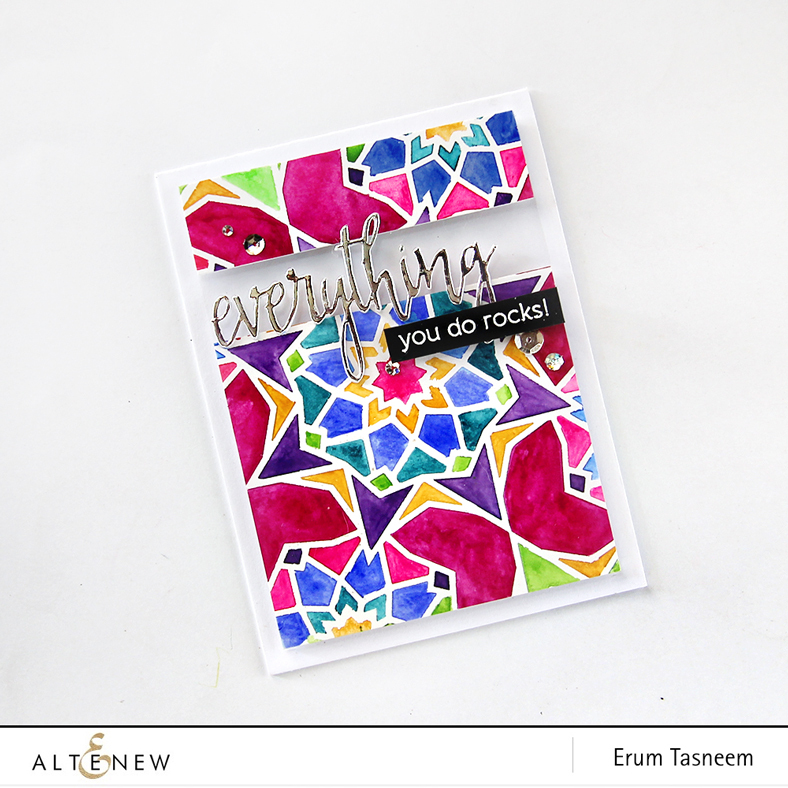 I have a new card to share over at the Altenew blog. You can check it out HERE and read up on the details. 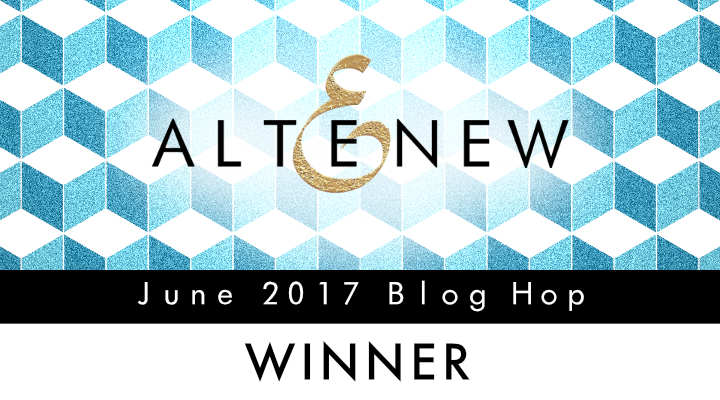 Also, I have to announce the winner of June 2017 release. Please send me a message using the contact form on the right hand side or write to winner@altenew.com by 7/31/2017. You can also attach a link to my post confirming you are the winner. 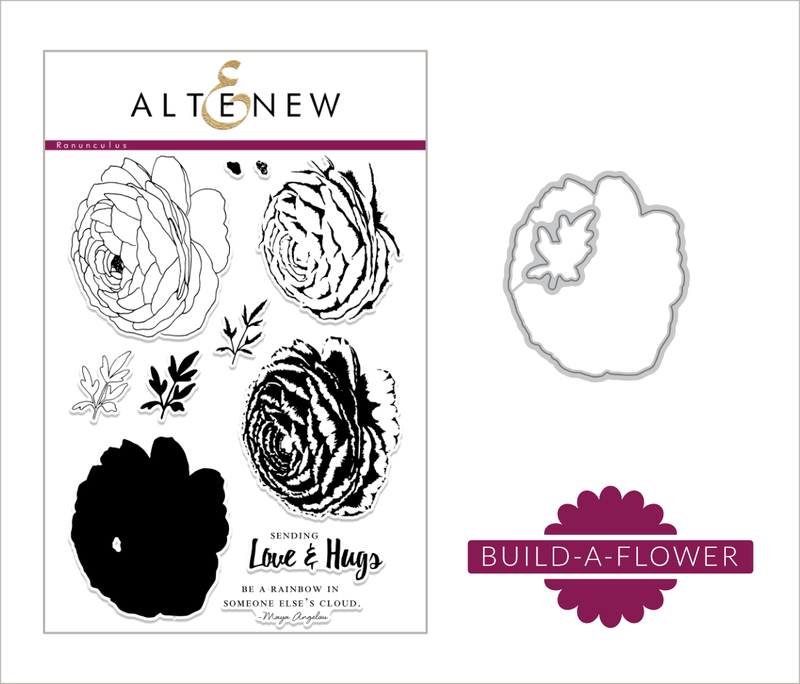 Like every month on the 15th Altenew releases a new flower+die combo. This time it is a beautiful Ranunculus. 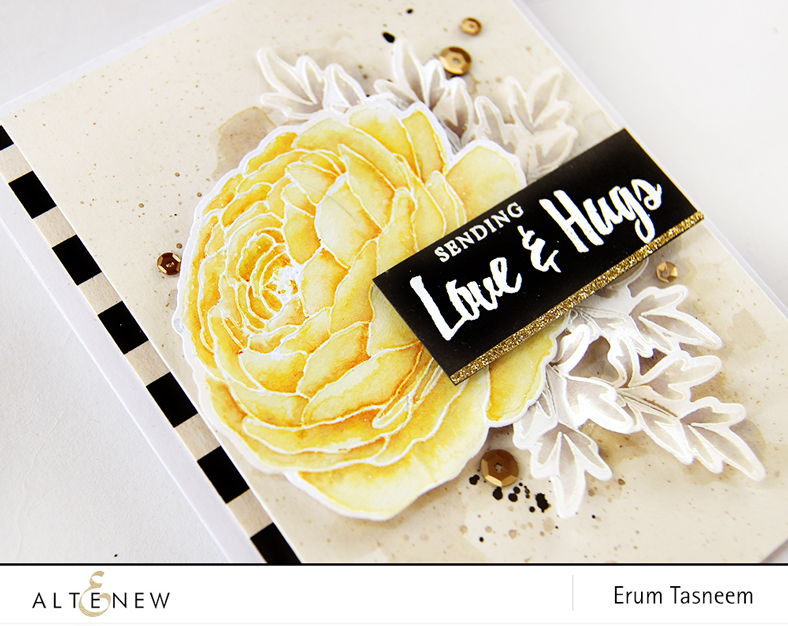 I heat embossed my flower using Pure White Crisp Embossing Powder. Watercoloured it using Warm Sunshine Metallic Shimmer Ink Spray. 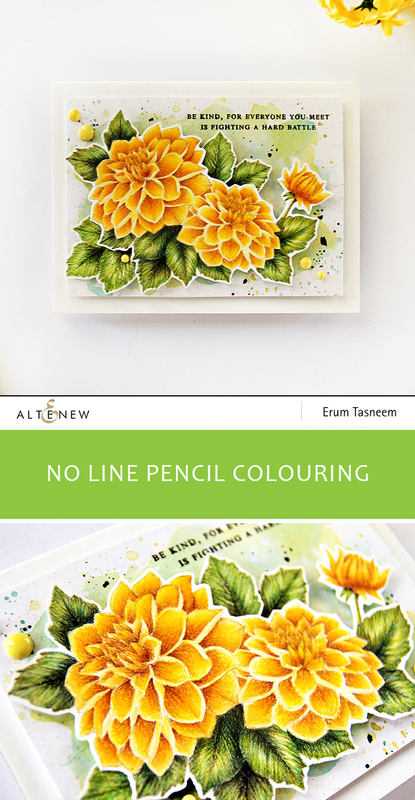 The leaves were watercoloured using Pumice Stone distress ink. I diecut all the images and popped them on my card front using foam tape. I have used Spicy Yogurt cardstock for my card front and to it I have added a light colour wash with Pumic Stone distress ink and a few black splatters. 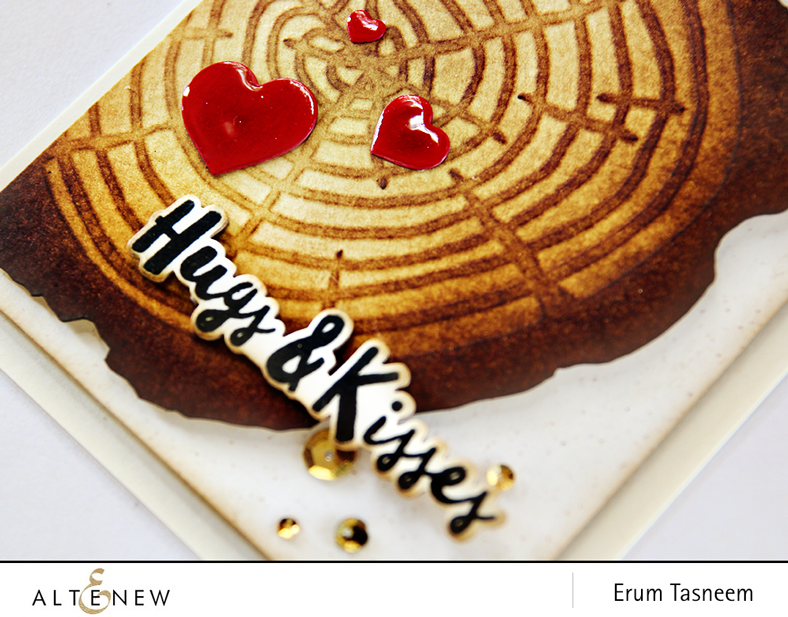 The sentiment is also heat embossed using Pure White Crisp Embossing Powder. I added a thin strip of gold glitter tape to it. 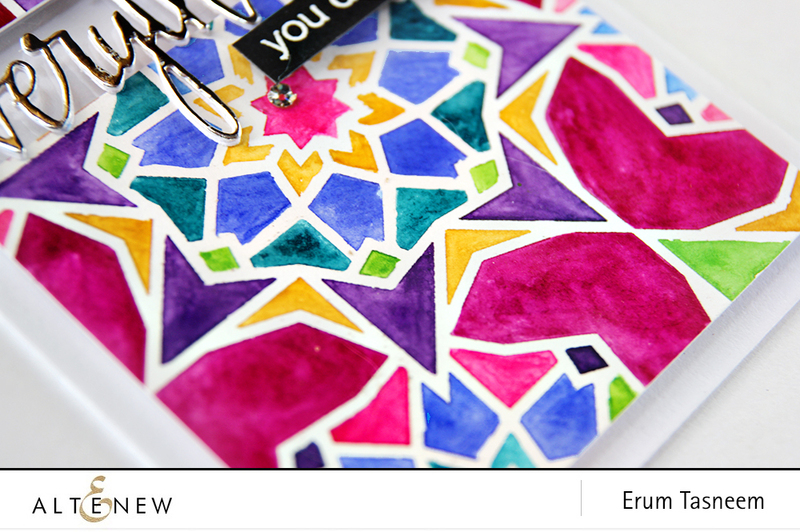 I really like the colour combination of my card. The flower is oh so shimmery! I will be sharing a video of the shimmer on my Instagram if you wish to check it out. 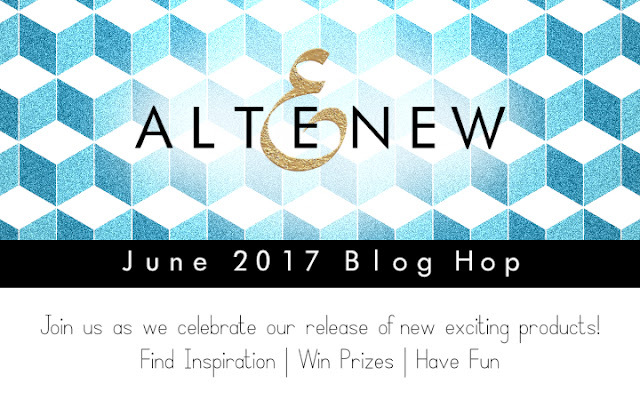 I have a new post over at the Altenew blog. 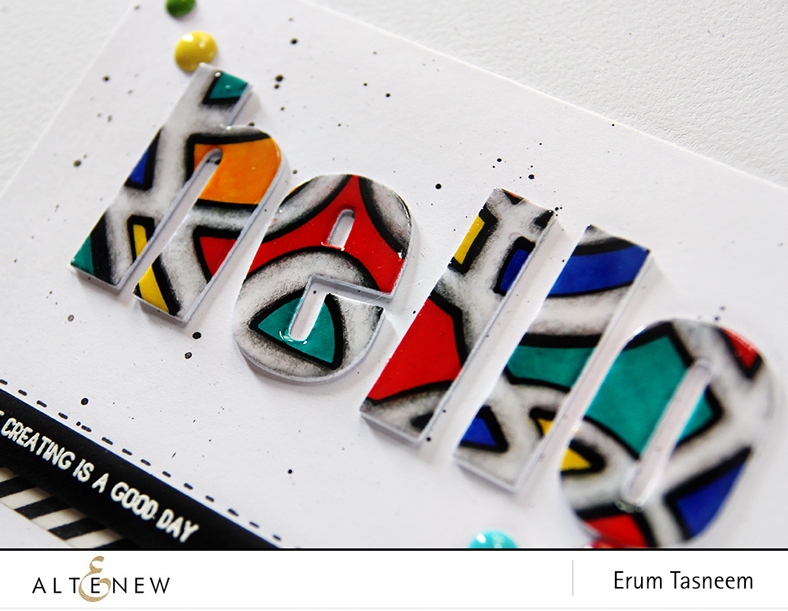 You can read how I made this card HERE. 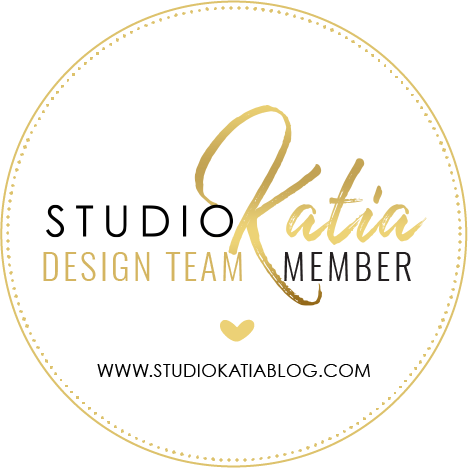 Welcome welcome to my humble blog. I am SO excited today. Like always this release too is AWESOME! 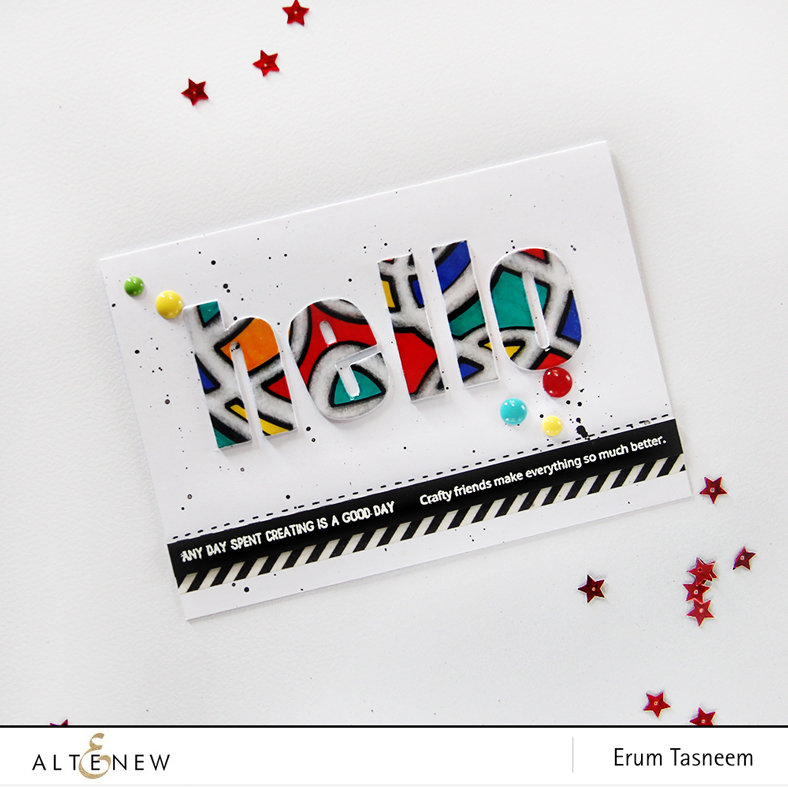 Altenew has knocked it out of the park with this stencil release. You must be here from the amazing Yoonsun Hur's blog. Lets start with my first card using the Tree Ring Stencil. I used the stencil to emboss the tree ring. I had to use a metal shim for the lines to really show up properly. I cut out the embossed area and inked it just like a wood slice would look. After I was done inking, I popped it over on to my Spicy Yogurt card front using foam tape. 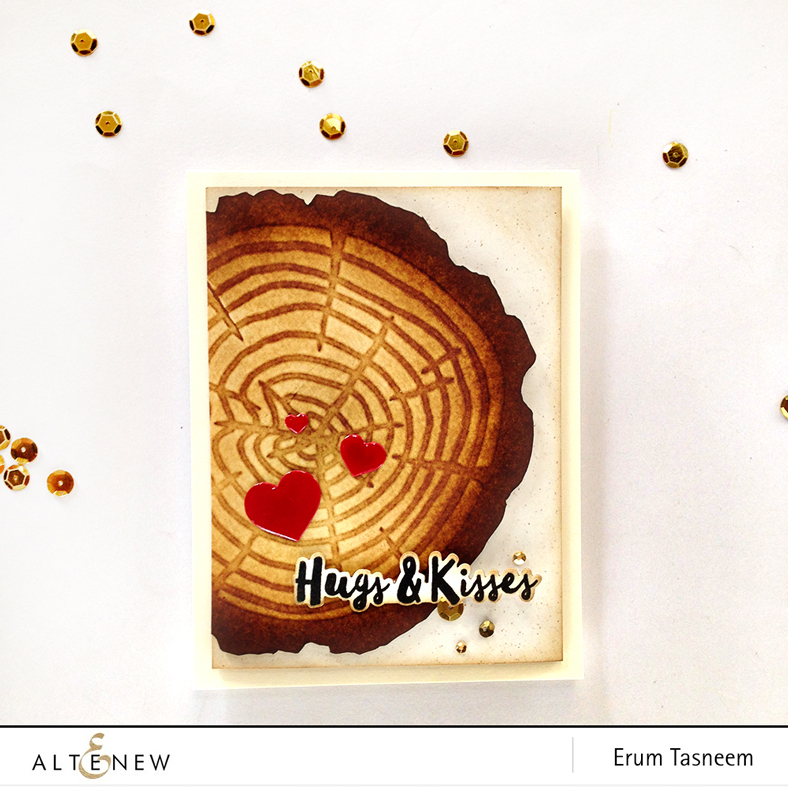 I stamped and diecut a sentiment from Halftone Hearts and popped it over the tree ring cut out. 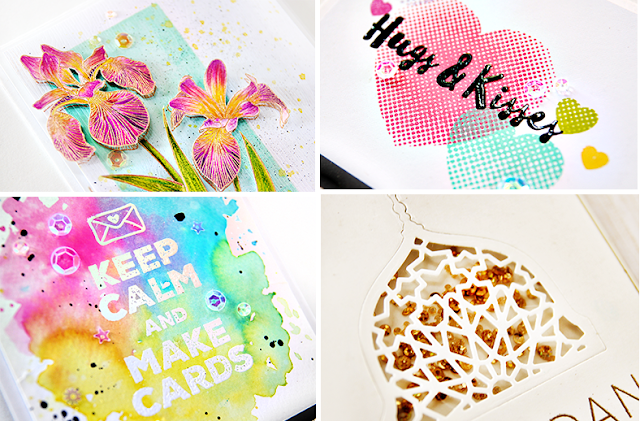 I added some hearts (from the die in New Day Card Kit) with some glossy accent to add a pop of colour. Next up Graffiti Scribble Stencil. I made two cards out of one panel that I coloured using Crayola Markers. I first outlined the stencil with a permanent black pen then shifted it a bit to offset it and added more lines to make one side of the drawn line bolder. I hope you understand what I am saying. Here are the cards individually. I added a bit of shading in the white areas, "the scribble" with a grey colour pencil. The "hello" is cut out by Bold Alphas dies. The sentiment is from Crafty Friends stamp set which is popped over Silver Glitter Tape. Here is the next card. This one looks SO GOOD in person. I used the cut outs from the first card on this one by layering them four times. All letters are straight except for the "E" which is a little tipped to the left. I have added glossy accents on the letters and it looks great. 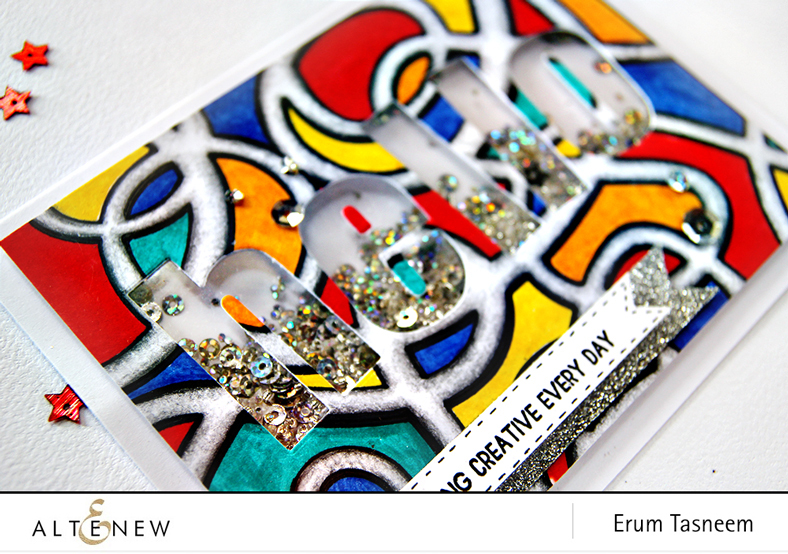 The enamel dots are from the New Day Card Kit. You can also purchase them individually. 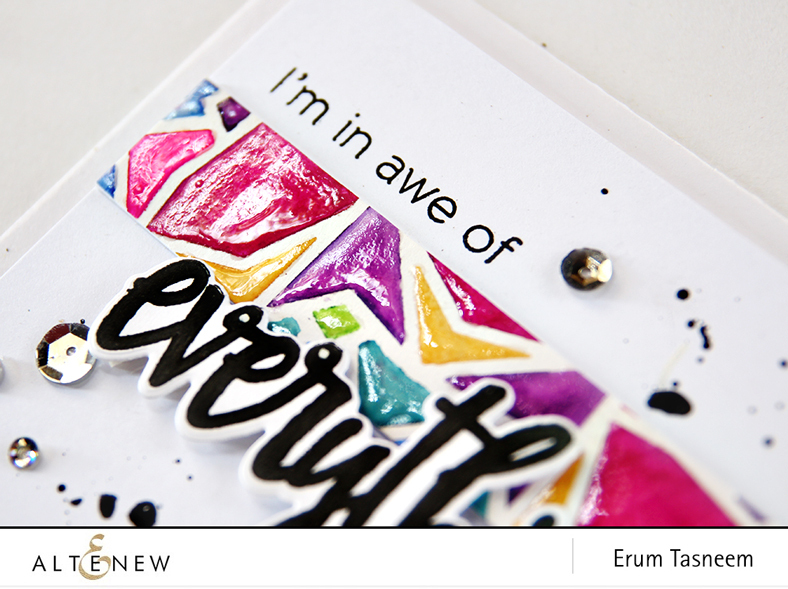 The sentiment is from Crafty Friends stamp set. 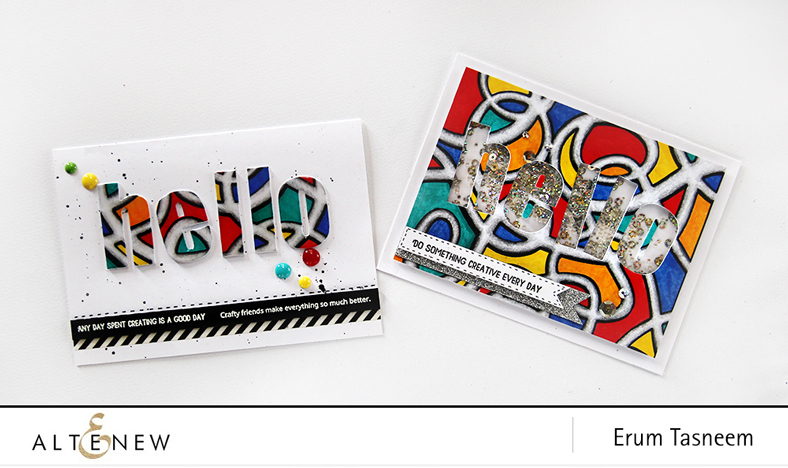 My final set of cards featuring the Layered Kaleidoscope Stencil - B. Again I did the same thing and made two cards out of one panel. Here I watercoloured the panel using Gansai Tambi watercolours. I cut out a strip from the panel after watercolouring. Placed the pieces on my base with foam tape. Placed the diecut "everything" in silver foil from Halftone Everything like it's holding the two pieces together. Added a smaller sentiment on a black cardstock which was embossed using Pure White Crisp embossing powder. Again, I really like this one. I have noticed I am leaning more towards CAS, less cluttered cards. 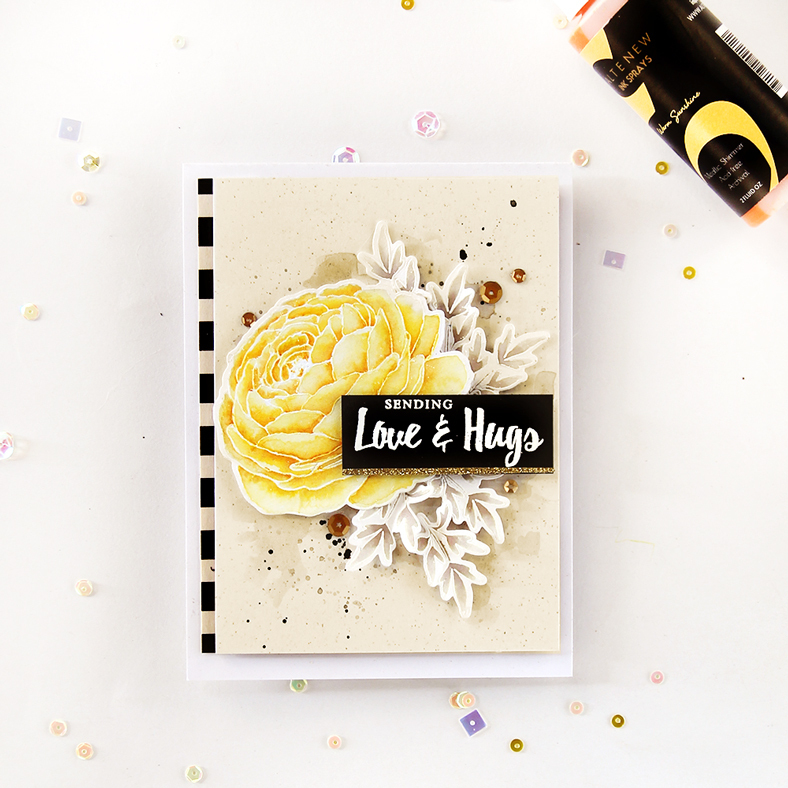 I have used the Halftone Everything stamp set again for this card. What makes this different is that I added glossy accent to the watercoloured areas. It looks like ceramic, vintage crockery with embossed fruits if you can recall? I am loving the clean look of this card. Now on to the prizes. In addition to this, I will be giving away a $30 gift certificate to Altenew store. The winner will be picked out from the comments left on this post till June 20th. I will announce the winner on June 21st here. Hope you liked the cards! I have a lovely floral card to share with you. 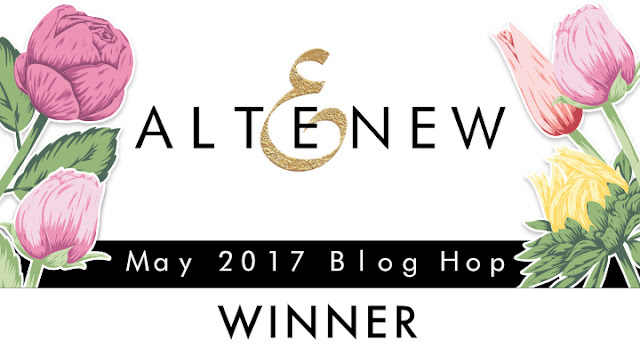 Now hop on over to the lovely Laura Bassen's blog. Just a quick and short post to announce the winner from May release blog hop. Please get in touch with me via the contact form on the right hand side. 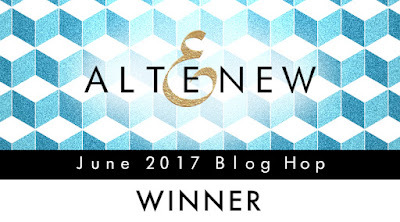 Or you can contact Altenew directly at winner@altenew.com with a link to this post by 7/31/2017. Thank you everyone for leaving comments and liking my cards, you guys are absolutely amazing. PS: In case you missed it, original post is HERE.